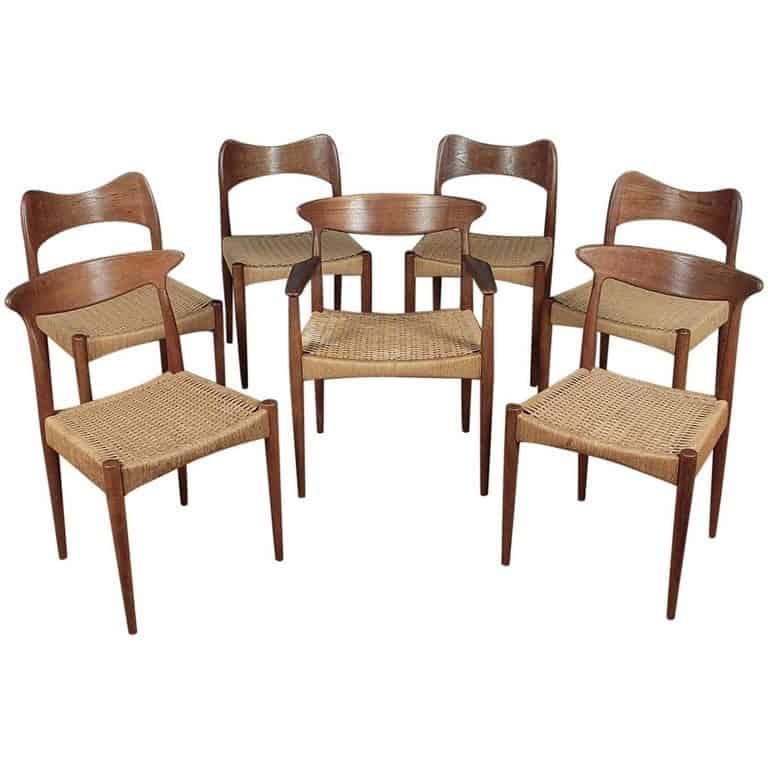 A really good looking set of midcentury dining chairs by Arne Hovmand Olsen circa 1960. 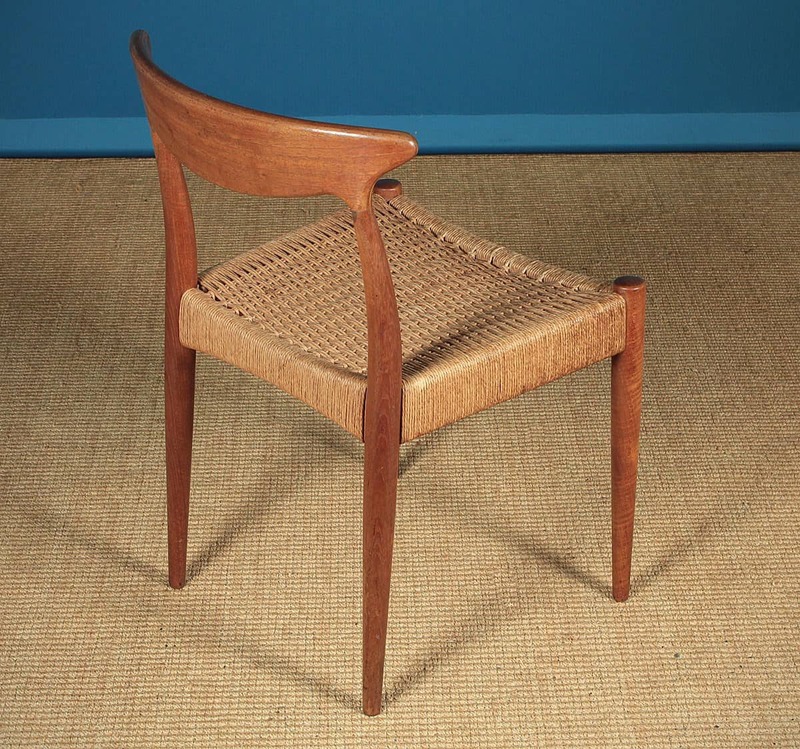 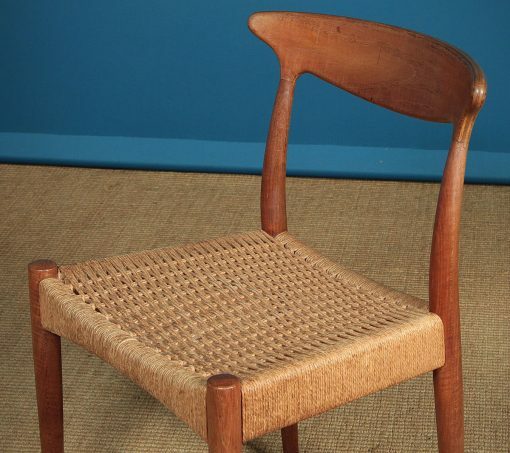 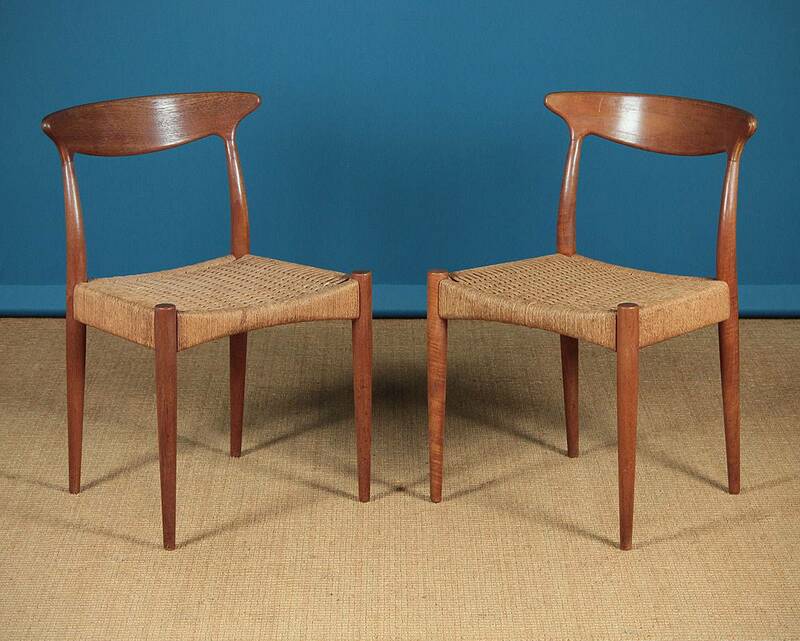 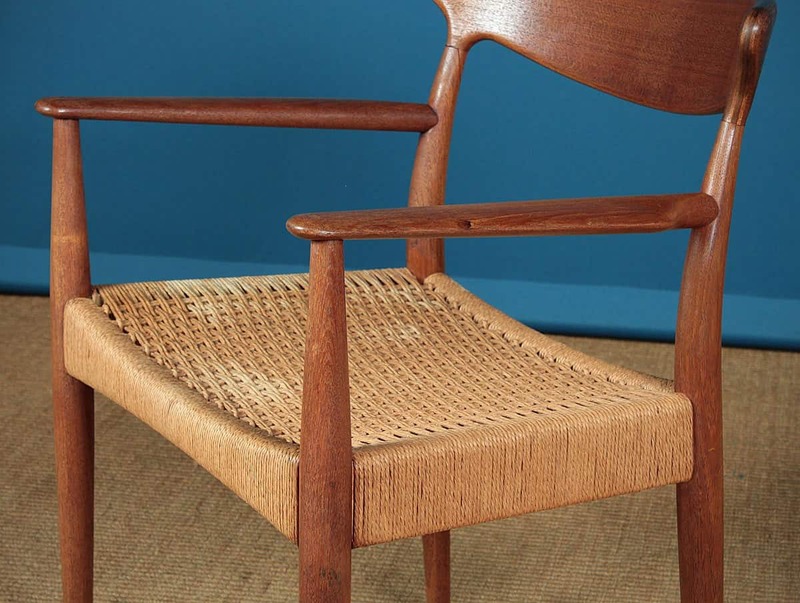 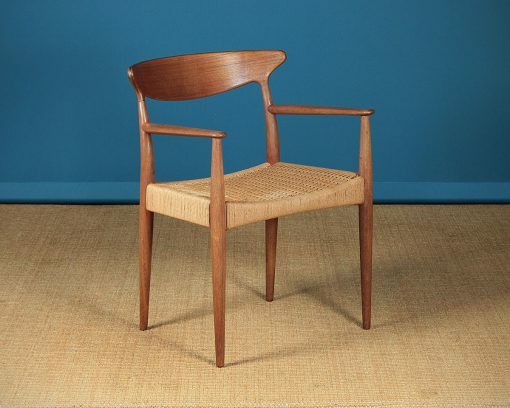 Incorporating two slightly different designs to the backrests, six chairs and one carver all by Arne Hovmand Olsen for the Danish furniture makers Mogens Kold. 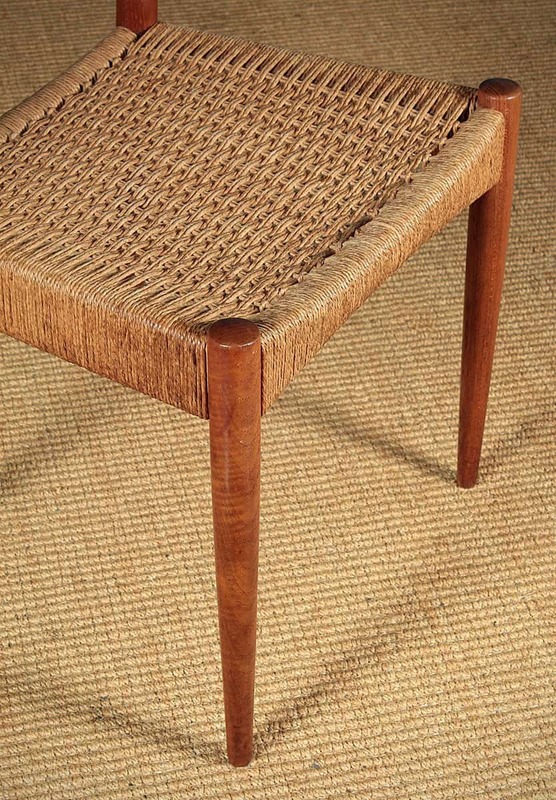 Teak frames with curved backrests on gracefully formed rear stiles over identical woven seats with a shaped front edge and turned legs. 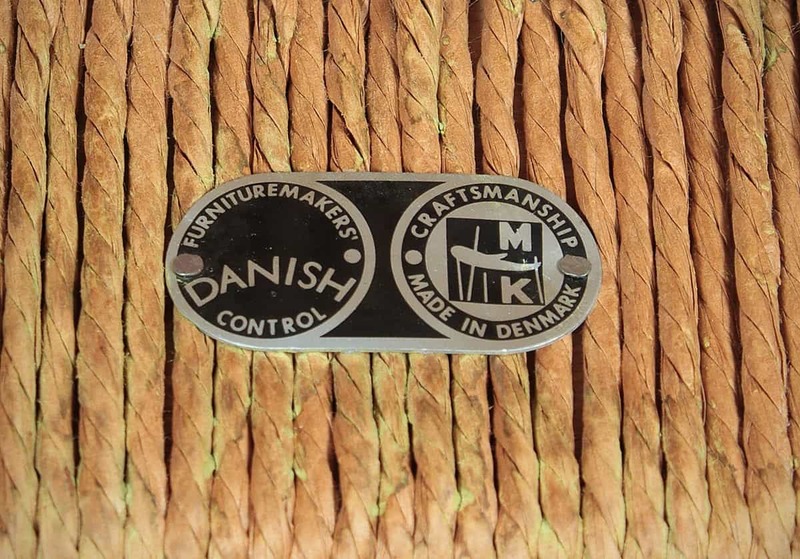 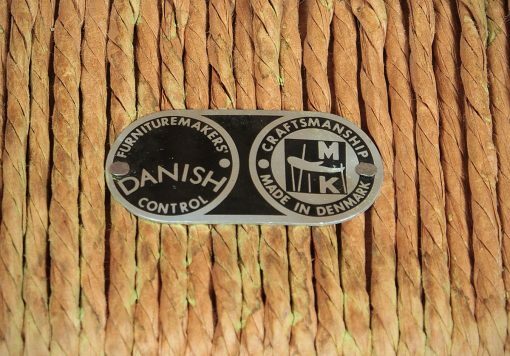 Original makers label on three of the chairs. 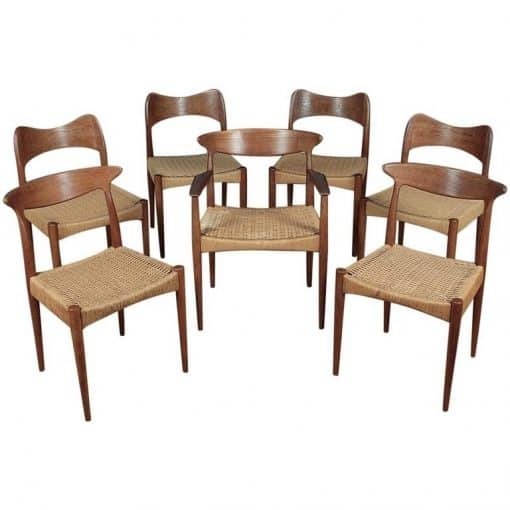 Dimensions: Four chairs – width 19 inches, depth 20 inches, height 29.5 inches Pair chairs – width 20 inches, depth 21 inches, height 30 inches Armchair – width 23 inches, depth 22 inches, height 30 inches.